Located in the heart of Frejus, this romantic apartment building is 0.1 mi (0.1 km) from Esterel Massif and 2.4 mi (3.8 km) from Malpasset Dam. Indochina War Memorial and Roman Theater are also within 6 mi (10 km). 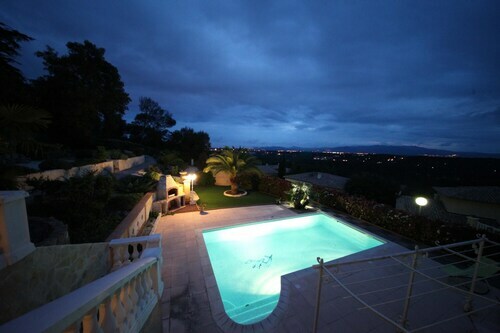 Situated in Frejus, this romantic property is 0.1 mi (0.1 km) from Esterel Massif and 2.5 mi (4.1 km) from Malpasset Dam. Indochina War Memorial and Roman Theater are also within 6 mi (10 km). Situated in Frejus, this golf villa is 3 mi (4.9 km) from Mosquee Missiri de Djenne and within 6 mi (10 km) of Malpasset Dam and Esterel Massif. Indochina War Memorial and Roman Theater are also within 6 mi (10 km). Situated near the beach, this vacation home is 2.3 mi (3.7 km) from Mosquee Missiri de Djenne and 2.5 mi (4.1 km) from Esterel Massif. Frejus Beach and Malpasset Dam are also within 6 mi (10 km). Situated on the waterfront, this villa is close to Malpasset Dam. Area attractions also include Esterel Massif and Valescure Golf Club. This family-friendly Frejus villa is located by the ocean, within 3 mi (5 km) of Mosquee Missiri de Djenne and Esterel Massif. Luna Park Frejus and Aqualand Frejus are also within 6 mi (10 km). 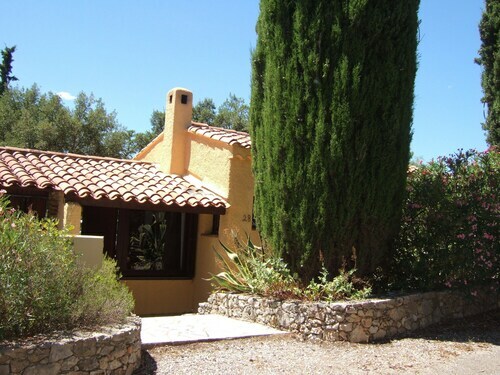 Situated in Frejus, this property is 0.1 mi (0.1 km) from Esterel Massif and within 3 mi (5 km) of Mosquee Missiri de Djenne and Indochina War Memorial. Valescure Golf Club and Roman Theater are also within 3 mi (5 km).